My dining companions, one of whom has tried Crab in Da Bag at Big Splash before, and I met up for dinner on a weekend at Dancing Crab. Located at The Grandstand where Modern Asian Diner (abbreviated as MAD) used to be, it is also by Tung Lok Group. Flags of various countries strung together, and fishing nets hung from the ceiling at the spacious place. 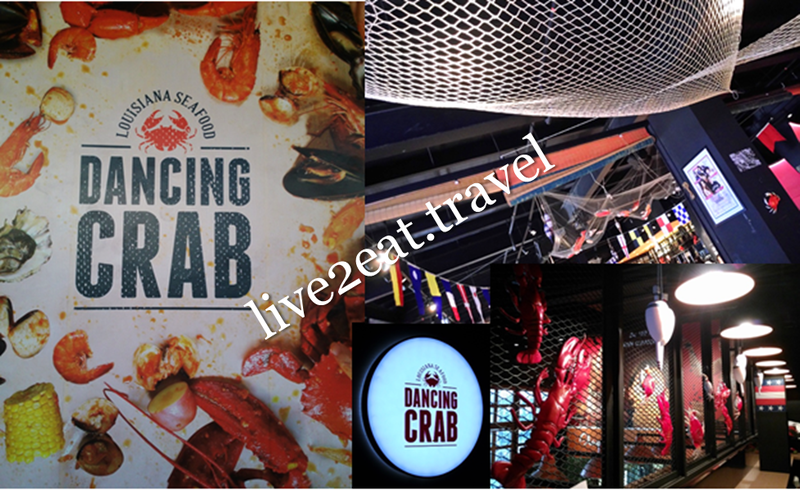 Opened last April, it is one of the restaurants in Singapore where seafood is poured onto the table for diners to dig in with their hands. While the concept from Louisiana started with The Cajun Kings in August 2012, others such as The Boiler Louisiana Seafood & Beer which serves seafood in bags and The Pelican Seafood Bar & Grill have also jumped on the bandwagon. Ordered Seafood Combo 1 in Buerrc Blanc, which we chose not to have the contents poured onto the table, and a portion of white clams in Dancing Crab Signature sauce. The former consists of a Sri Lankan crab, prawns and clams with potatoes, corn and sausage. 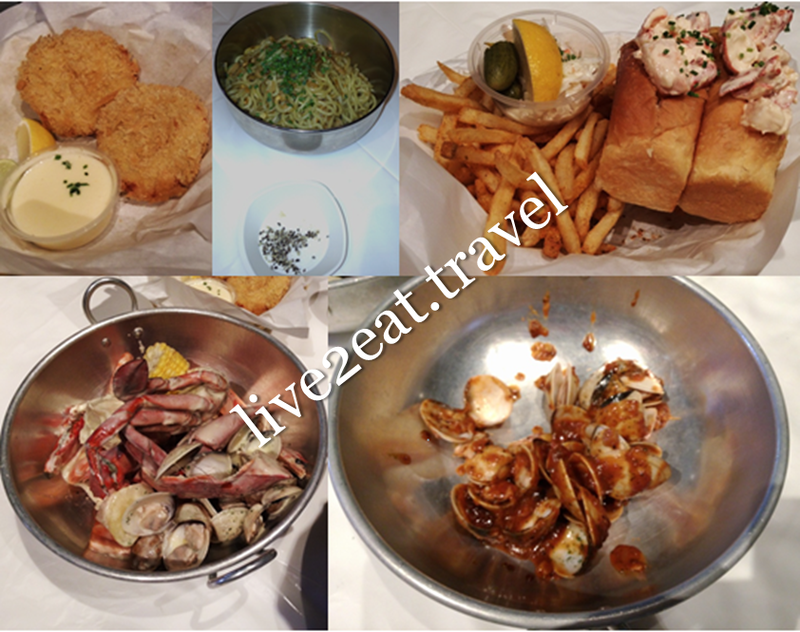 As expected, seafood was fresh and succulent. Loved its signature sauce – comes in mild, spicy and extra spicy, though I would have preferred for the clams in this case to be marinated in it before they were cooked instead of being mixed together after. I am not a fan of the Crab Cakes and could neither rave about nor fault Atlantic Cod Fish & Chips and Lobster Roll, both served with crispy French Fries. Garlic Noodles was surprisingly springy with a nice aroma of garlic that stops short of being overwhelming, and was not too oily. You may also be interested in Crab in Da Bag and Platyptus Kitchen.